The leader in sleep innovation, Sleep Number® (NASDAQ: SNBR) delivers proven, quality sleep through effortless, adjustable comfort and biometric sleep tracking. Thirty years ago, Sleep Number transformed the mattress industry with the idea that ‘one size does not fit all’ when it comes to sleep. Today, we provide consumers with individualized sleep solutions through our complete line of Sleep Number® 360 smart beds and bedding. Based in Minneapolis, Minn., with more than 4,000 team members and 570 U.S. stores, our revenues in fiscal 2017 were $1.4 billion. We are the exclusive designer, manufacturer, marketer, retailer and servicer of a complete line of Sleep Number® beds and bedding. This vertically integrated business model enables us to provide a seamless end-to-end customer experience. Unlike traditional mattress manufacturers that primarily sell through third-party retailers, 99 percent of our net sales are directly to consumers. 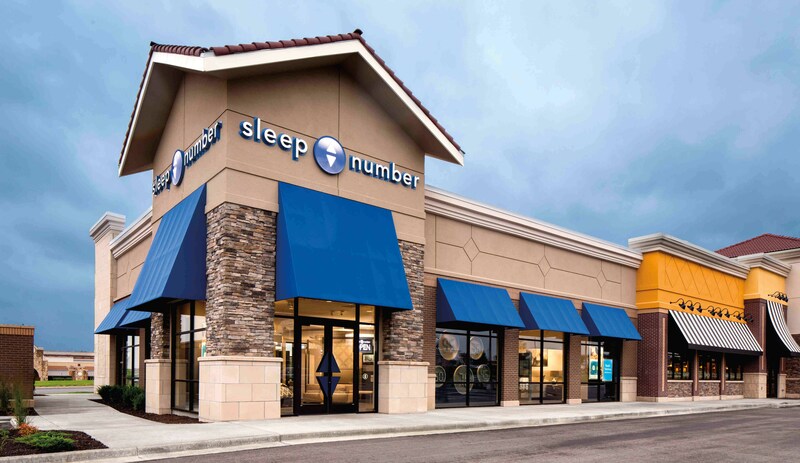 The company’s presence has evolved from a small kiosk in a mall in Roseville, Minn. in 1992 to a retailer with a national store footprint and products exclusively sold through Sleep Number® stores and sleepnumber.com. Our average sales-per-square foot is in the top 10 among U.S. specialty retailers and is driven by a differentiated store experience and modern store design. Innovation Series provides individualized comfort and temperature-balancing innovation. Mattresses include the i7, i8 and i10. Performance Series balances softness and pressure-relieving support. Mattresses include the p5 and p6. The Classic Series provides adjustability on each side of the bed featuring regular and plush style mattresses. Mattresses include the c2 and c4. The benefits of the Sleep Number® 360 smart bed have been validated by third-party consumer satisfaction awards and through our clinical sleep research, which has shown that participants who slept on our smart bed generally fell asleep faster, experienced deeper sleep with fewer disturbances and experienced greater relief from back pain than those sleeping on a traditional innerspring mattress. Adjustable Bases – Our FlexFit™ adjustable bases offer consumers the ability to raise and lower the head and foot of their beds to relieve pressure, help reduce snoring and provide comfort and relaxation for reading or watching TV. Pillows – Our selection of pillows improves comfort and support with the proper firmness, fill and fit to improve each person's sleep experience. Bedding – From temperature balancing sheets to dual-warmth comforters, our bedding also helps people individualize their environment to know better sleep. The Sleep Number 360™ smart bed is powered by SleepIQ® technology – a touchless, biometric sensor technology integrated into the mattress that tracks personal sleep data during the night. SleepIQ® technology tracks breathing and heart rates, and restful time in bed. Based on that data, a proprietary algorithm delivers a personal SleepIQ® score, from 1 to 100 each morning, along with a report of the critical biometric statistics that went into generating that score. Based on individual SleepIQ® data, the technology learns the person’s routine and uses adaptive algorithms and predictive modeling to recommend adjustments to daily habits and environment. The SleepIQ® API (Application Program Interface) can connect to an individual’s other cloud services and track items important to them – including exercise, nutrition, environment, temperature, schedules and individualized comfort – every day and night so people can be smarter about their sleep. Each night, SleepIQ® technology generates more than seven billion biometric data points and facilitates daily interactions with customer data and insights to inform decision making and product development. This biometric data advances smart, connected products that empower our customers with the knowledge to adjust for their best sleep. In September 2015, we completed the acquisition of BAM Labs, Inc., the Silicon Valley pioneer of biometric sensor and sleep monitoring. The acquisition strengthened our leadership in sleep technology with unprecedented data and connected product capabilities. We had partnered with BAM since 2012 to develop and commercialize SleepIQ® technology. BAM now operates as SleepIQ® Labs. The deeper collaboration of our teams has resulted in acceleration of our innovation pipeline, efficiencies in our product development cycle and our ability to deliver meaningful consumer benefits. At our more than 570 Sleep Number® stores in 50 U.S. states, we offer an interactive, educational experience that is distinctly different from other retailers. In 2018, we opened a flagship store in the Flatiron District in New York City, which takes Sleep Number’s best-in-class retail experience to yet another level, with interactive technology and digital experiences in a loft-like setting. In 2015 and 2016, Sleep Number was recognized with the Silver Outstanding International Store Design Award from the Association of Retail Environments. Our modern store design features the complete line of Sleep Number® beds and SleepIQ® technology. With the help of a Sleep Professional, customers experience IndividualFit® 3-D Imaging, a digital map that displays the body’s pressure points. Starting with a firm mattress, customers watch the pressure dissipate as the bed adjusts to their body to alleviate discomfort and find their Sleep Number – the ideal setting for a better night’s sleep. Sleep Professionals listen and guide shoppers to the right solutions that help them know better sleep, including bedding solutions to address common sleep problems like allergies and temperature swings and the PillowFit® experience that helps customers find a pillow that perfectly fits their needs. Our retail strategy integrates our physical and digital Sleep Number experience. Within our physical stores, our average sales per full-time employee are 50 percent higher than other top U.S. specialty retail brands. The digital Sleep Number experience focuses on engagement with new customers and deepening relationships with existing customers. Elements of our store sales process are built into the digital experience to improve consumer research and conversion. We continue to advance the productivity of sleepnumber.com, where customers learn about our products, find their nearest store location and purchase online. Sleep Number has evolved from a 1-800 direct marketing mattress company aimed at helping people with back pain, to a national consumer lifestyle brand with technology as our differentiator. 1992 – First Sleep Number® store opens in Rosedale Mall, Roseville, Minn.
1997 – Sleep Number® manufacturing plant opens in Irmo, S.C.
1999 – Sleep Number manufacturing plant opens in Salt Lake City, U.T. 2010 – Discontinued distribution through non-company-owned mattress retailers in the contiguous U.S.
Manufacturing – We manufacture all Sleep Number® beds at our U.S. production facilities. We have manufacturing plants located in Irmo, S.C., and Salt Lake City, Utah. At these two facilities, employees perform the quilting and sewing of the fabric covers for our beds and final assembly and packaging of mattresses and bases. Our electrical Firmness Control™ systems also are assembled in our Utah plant. We have one manufacturing plant in Greenville, S.C. that assembles, packages and distributes Comfortaire® mattresses and bases. Delivery – We offer Comfort ServiceSM home delivery and setup, which includes assembly and mattress removal. In selected markets, we provide home delivery, assembly and mattress removal services through third-party providers. Service – We maintain an in-house customer service department staffed by teams of specialists that provide service and support via phone, email, “live chat” and social media. Our customer service team is central to an ongoing relationship with our customers. Direct access to our customers also provides insights and identifies emerging trends as we work to continuously improve our product and service quality and advance product innovation. To help continue to better our ongoing relationships with customers, we opened a second customer relationship center in New Orleans in 2017. For more information, please download our Corporate Fact Sheet.